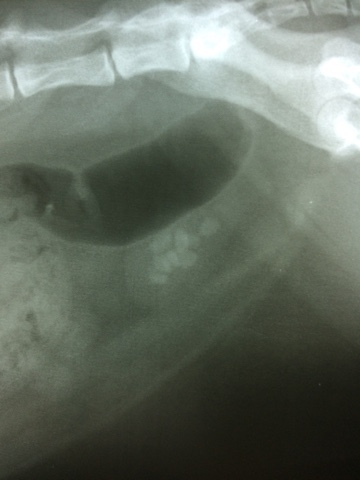 This is the X-RAY that we used to diagnose the problem for this cat. Stones are visible in the lower right hand part of the X-ray. 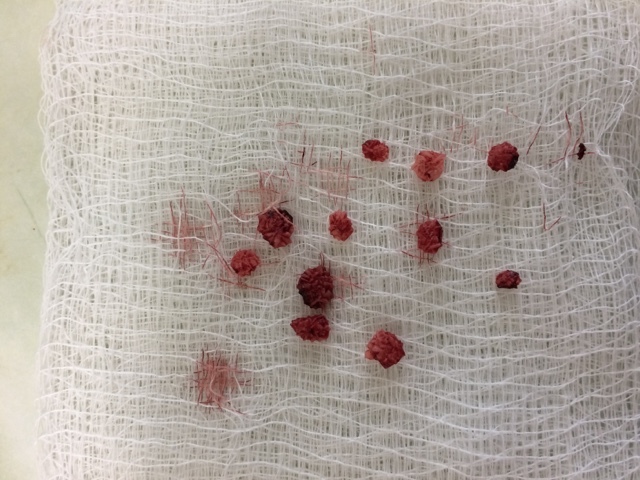 This middle aged female cat had nine stones in her urinary bladder. They are rough like a grass burr and will not pass. Now, her bladder can heal and she can go on a diet that can prevent the stones. We use Royal Canin SO as our diet of choice.